Schools back and that means lunch boxes. At my daughters school( like many schools) it is nut free, so when your short on time and wanting to whip up some quick, healthy and nut free snacks, then go no further. Mangoes are a favourite in my family and we always have a bag of frozen mangoes in the freezer to add to smoothies. So when I came across this recipe from kid ingredient I jumped at the chance to whip them up. They are NUT, SOY, DAIRY AND CAN BE GLUTEN FREE ( recipe uses oats, so if can tolerate use if not, use quinoa flakes), are low sugar and the best part of all, they only take 10minutes to make. 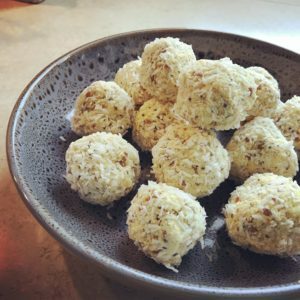 They are NUT, SOY, DAIRY AND CAN BE GLUTEN FREE ( recipe uses oats, so if can tolerate use if not, use quinoa flakes) are low sugar and the best part of all, they only take 10 minutes to make. In a bowl, combine your chai seeds and flax seeds. Add the 4 tablespoons of water and soak for 3-5 minutes. 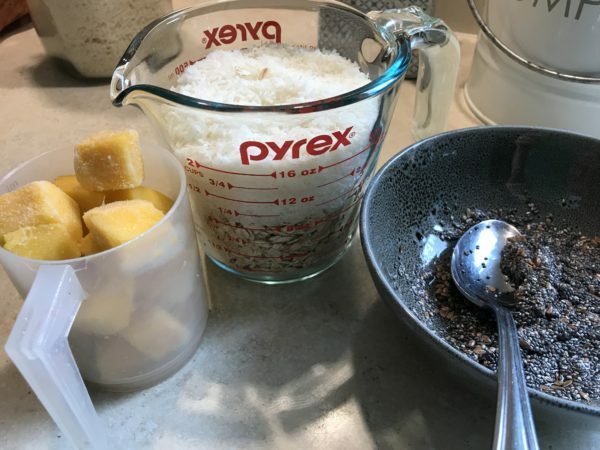 Add all ingredients, including your soak seeds to a blender and blitz until well combined. 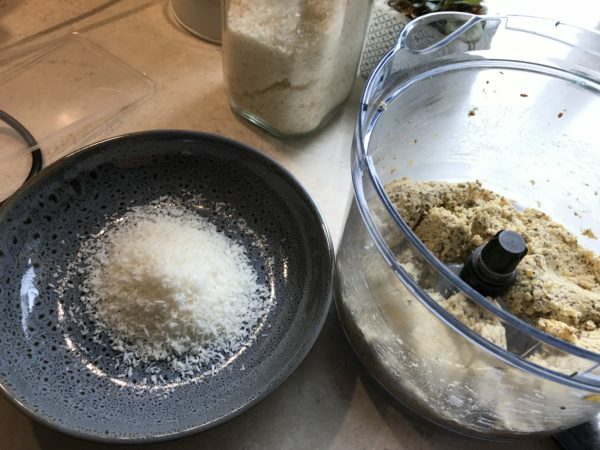 using a spoon ( I use a soup spoon) scoop out a spoonful and roll mixture into little balls, then roll in desiccated coconut. Place on a tray or container and once all balls have been rolled place in fridge or freezer to set for approximately 1 hour....that's if you can wait that long!! I store my in a sealed container in the freezer so I can grab and go when needed. Previous PostHow to stay healthy during the festive season! 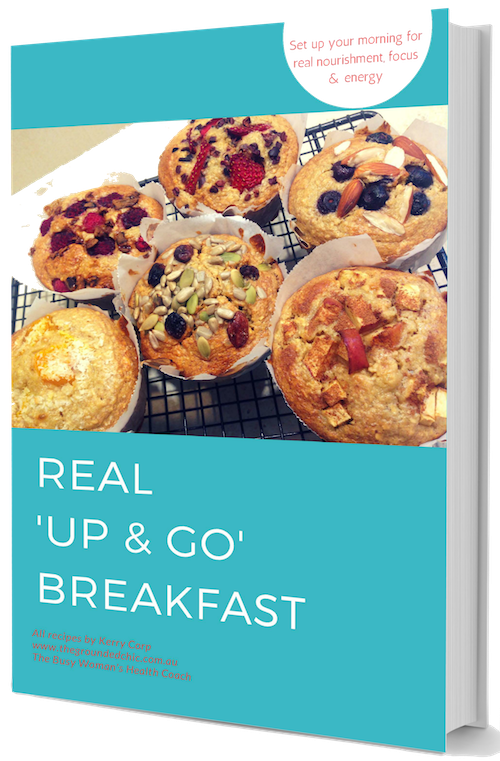 The busy Woman’s real ‘Up & Go Breakfast. It’s time to make you and your body the priority it needs you to be.